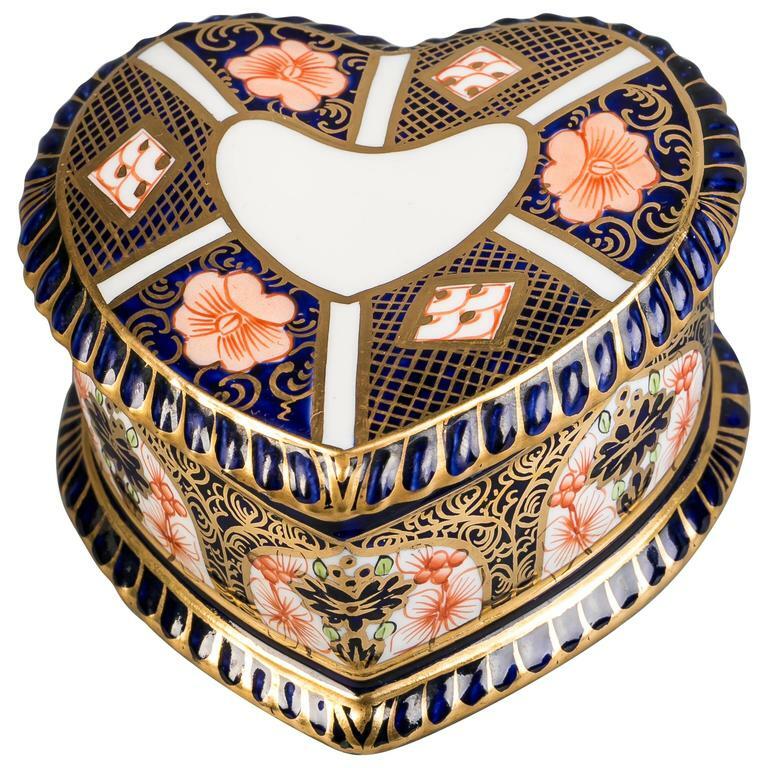 Royal crown derby heart-shaped box, circa 1910. Japan pattern. 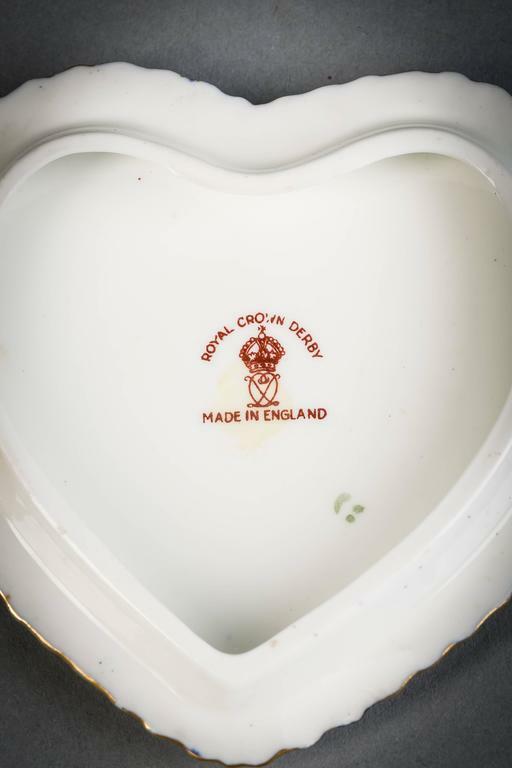 Royal crown derby mug, dated 1944. Artist signed W.E.J. Dean. 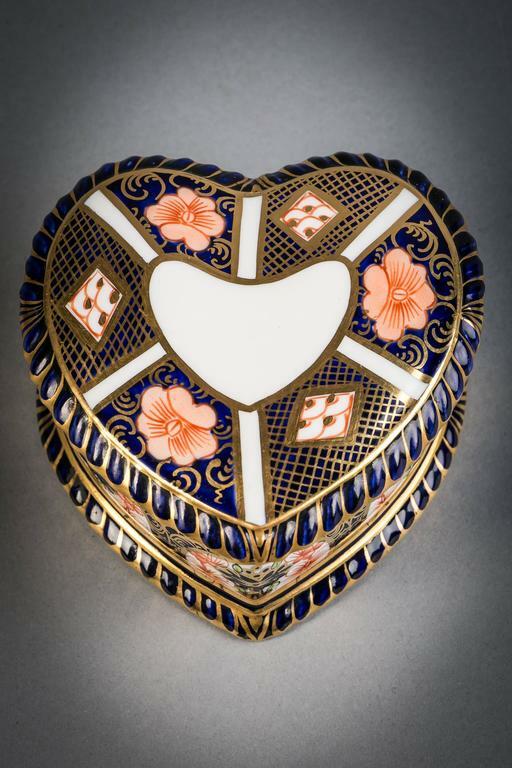 Daum Nancy enameled glass box, circa 1910 inscribed in gilt, "Daum Nancy" with the Croix de Lorraine. Each with hand painted scenes of exotic birds on a cobalt blue background, with satyr mask handles. Signed Charles Harris. 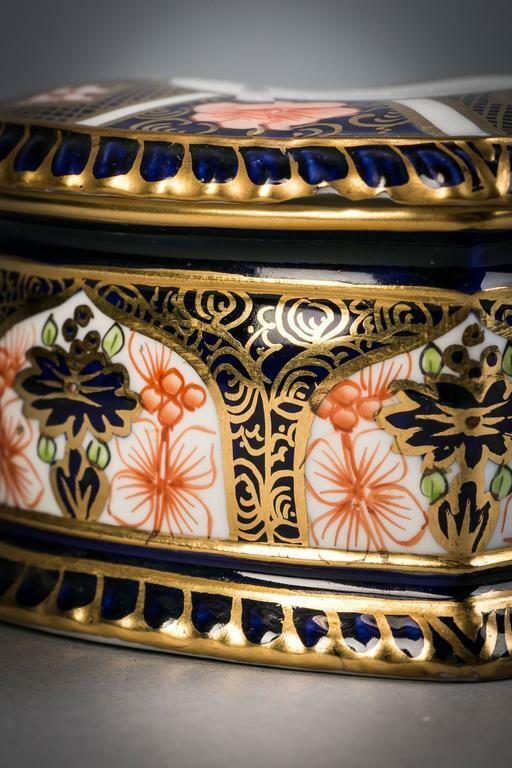 With Royal Crown Derby Mark. 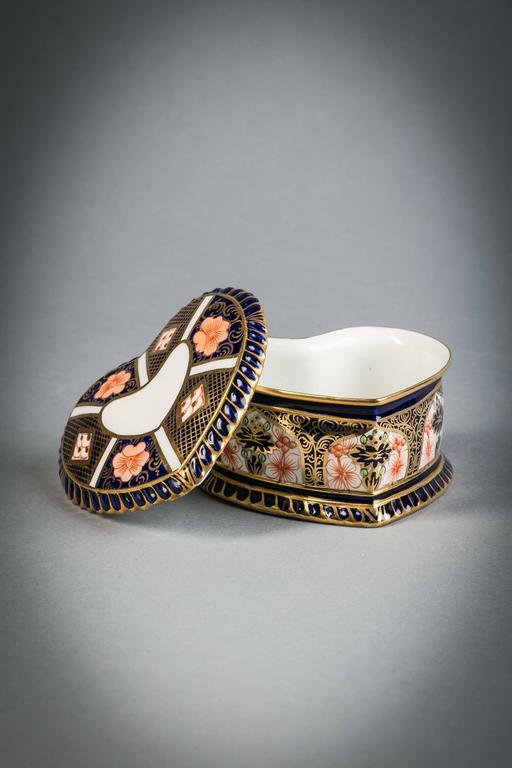 Gilt bronze and mother-of-pearl shell shaped box, Palais Royale, circa 1810. 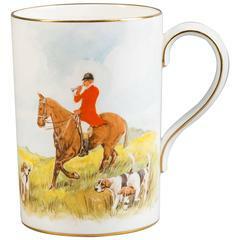 Cigarette box - but also suitable for "other" smoking utensils, ideal for storing cufflinks or similar. Lined with sandalwood, "Made in England" and "Sylva Chrome". 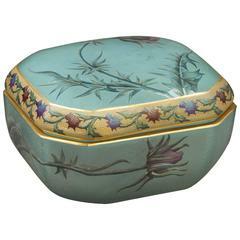 Export melon shaped chinoiserie box, circa 1840. 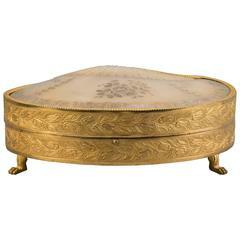 Antique French gold bronze box, circa 1890-1910. 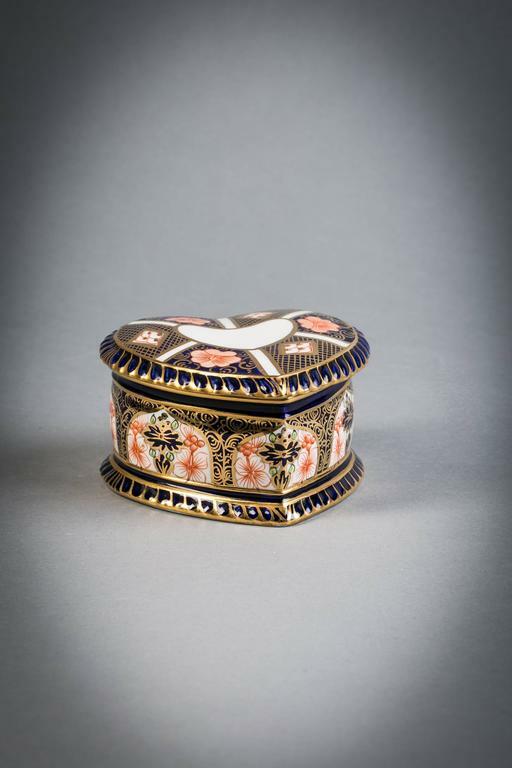 Chic kidney-shaped box made of carved pink marble with brass trim. Free-floating top fits snugly on base. Perfect for bedside table, dressing room, or as part of a table scape.